It seems as though I’ve done a fair bit of un-reported baking in what must’ve been the past six-weeks. 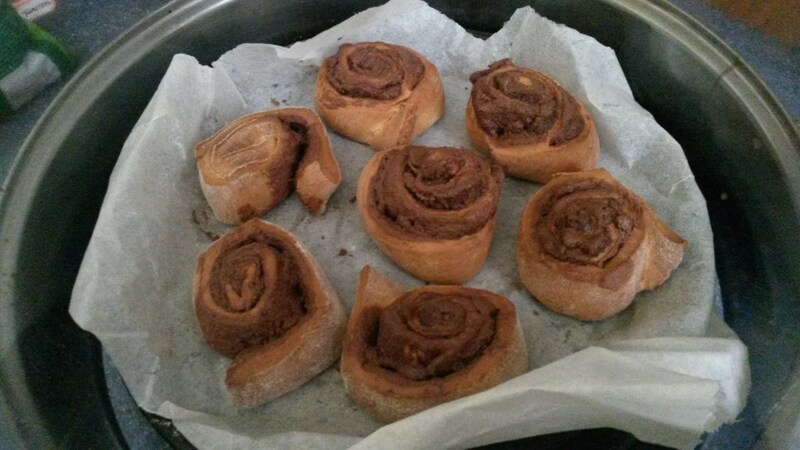 This recipe, originally, for chocolate and hazelnut swirls, is taken from Sarah Flower’s Perfect Baking With Your Halogen Oven book. 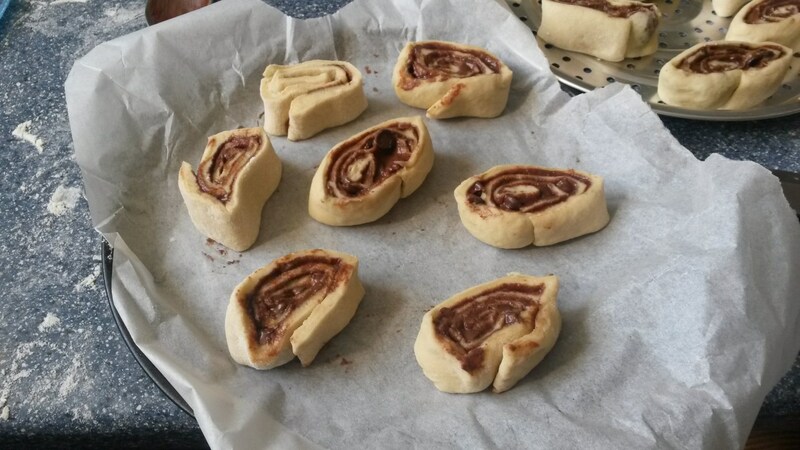 I didn’t really know what a swirl was, although I could use my imagination and the challenge of using bread-making skills for this treat encouraged me to leave the silicone moulds and cake tins alone. 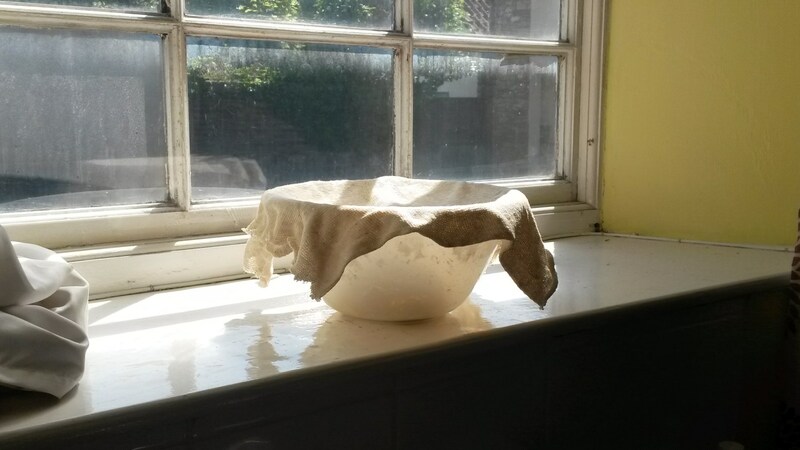 After ten-minutes of needing, I left it on the window sill, covered and in the bowl, to prove for a good forty-minutes. Within which time, it had grown in size. Perhaps not quite double its original state but it looked fine to me. 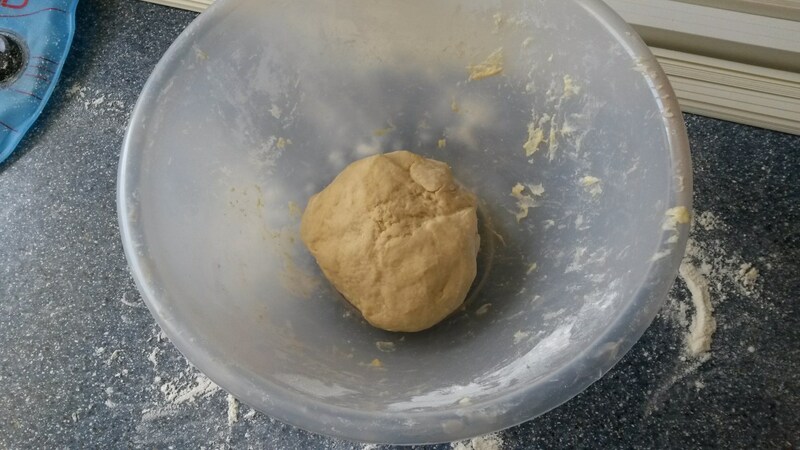 I think I then spent another ten-minutes kneading and I might even have left it in the fridge at this point – my memory’s unclear and I don’t wish to looking back through a book while I’m comfortably sat down and typing. For the first time, I got the use my cheap rolling pin for something other than flicking a light switch that’s out of reach! Memories of tips and tricks I was taught at primary school, going back two-decades, returned to me with conviction. With all going well, I reached for the chocolate spread. This was actually a chocolate and hazelnut spread that I found in Lidl. They didn’t appear to have a plain chocolate spread (although I’m sure it’s easy to make your own) but it did save me the need to buy any hazelnuts. 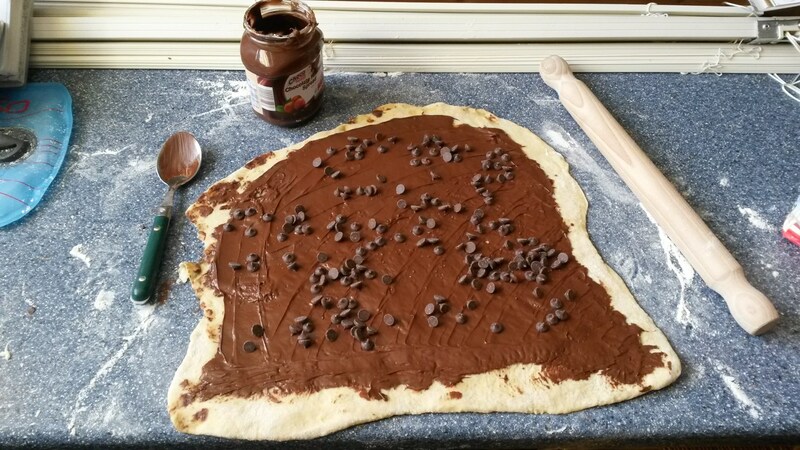 Sarah’s recipe called for 2 tbsp; I ended up using almost half the jar to cover the approximate 12in/300mm dough. Perhaps I should’ve stirred it more inside the jar? 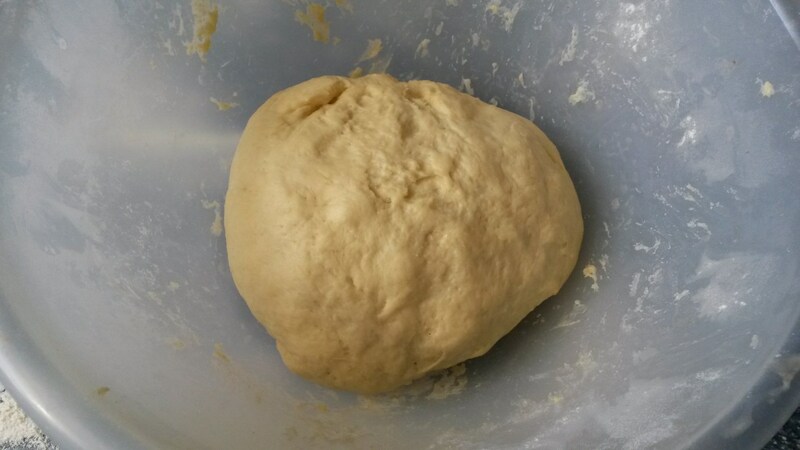 Should I have used bread flour, the same as what was in the actual mix? 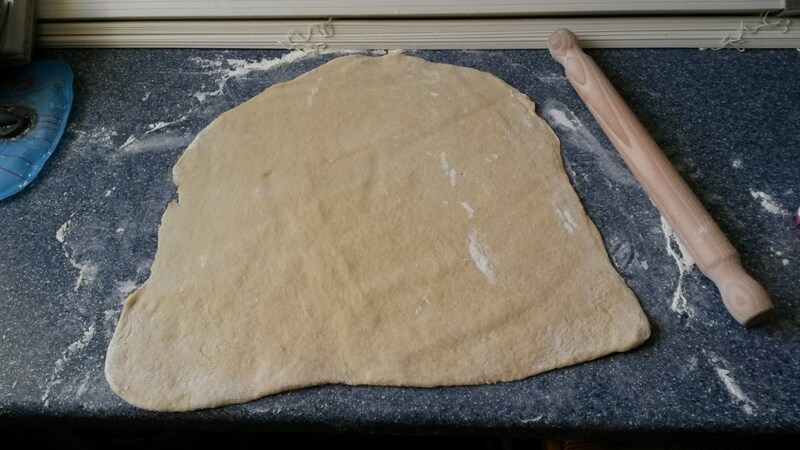 After some rolling without a pin, I was able to slice it up to lay out across two separate baking trays; each one requirement their own independent time in the oven. They certainly looked delicious and they didn’t taste too bad. My only minor failing was the fact that they were quite dry. For which, I expect I either baked them for too long, had the temperature slightly too high or perhaps positioned them too close to the heating element within my halogen oven. But, of course, in my flat, no baked goods go to waste and while I wasn’t entirely happy ‘downing them’ [think Homer Simpson with doughnuts] with a cup of tea, I reinvented this treat as a pudding, by filling a bowl to capacity and then drizzling single or double cream over the top! Hardly healthy but certainly not laid to waste. I’d like to have another go at these, if not something very similar. 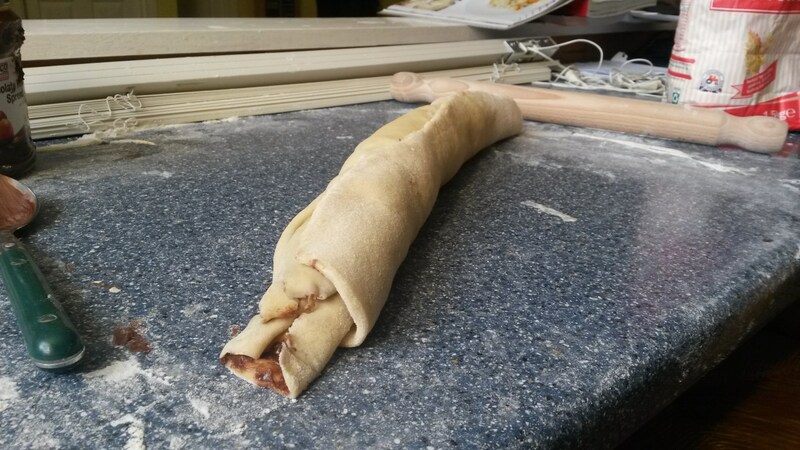 In the mean time, I have more baking ‘near-misses’ to follow in future posts. Thanks for reading!